Every step we take, every detail, every nuance originates from a single belief, the belief in excellence. To make the tradition of luxury flow across the cutting edge of high-tech, to give voice to all enterprises that make their products and services with passion and outstanding quality, to value the Made in Italy hallmark in all its uniqueness. We aim for beauty, meant in the Ancient Greek sense, as a reflection in the form of that which it is, first and foremost, in its substance. To give the gift of an unforgettable luxury shopping experience, and to be the point of reference in the marketplace, are the supporting pillars of the philosophy of Excellence in online shopping. 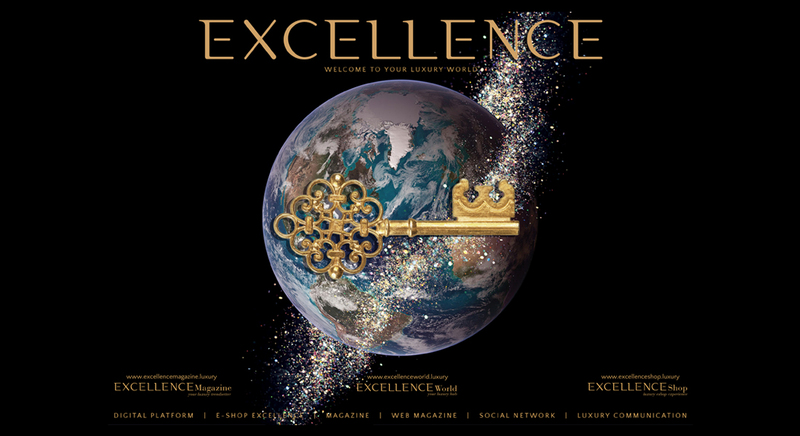 And even more so in this regard, is to be recognised as the quintessential scouter of luxury, able to select a collection of articles united by prestige of excellence, in line with Excellence World, the hub of global luxury that embraces an ever-expanding network, that speaks through the pages of Excellence Magazine. Excellence online shop stands as the beacon of luxury that identifies the best and makes it available to users who already live within this scope, or who want to enter it, thanks to a continual dialogue with the businesses and a constant scouting for excellence. A compact vision in which the virtual shop is only a variation. Following in the footsteps of the famous words of Aristotle: "Excellence is not an act, but a habit", in the world of Excellence we direct our energy into creating a 360-degree universe of solutions, each one in harmony with the other.